I recently learned about a mobile app called DealMachine. The idea behind this app is to make it as easy as possible to contact property owners with the intent of making an offer to buy their real estate. Now, as a land investor who relies heavily on sending out direct mail in bulk, driving for dollars isn't a strategy I've employed to find and acquire most of my properties… so I can't claim to be the foremost expert on this approach. However, being very familiar with the concept and goals behind this method of finding motivated sellers, I know there are times when this kind of maneuver can make a lot of sense. If you've ever tried to find and contact a property owner directly, you probably know there are A LOT of inefficiencies involved with finding this contact information and starting a conversation. There is definitely a need for software and solutions that can make it easier for real estate investors to reach property owners easily via mail, email and/or phone. For the longest time, I had no reliable way of finding a property owner's phone number or email address. I didn't even know there were resources out there (like BeenVerified and Spokeo) that could assist with this. The best I could do was find the property owner's mailing address (by looking up their information on the county website, or with a service like AgentPro247), which would allow me to send them a letter with the hope that they'd respond to me. 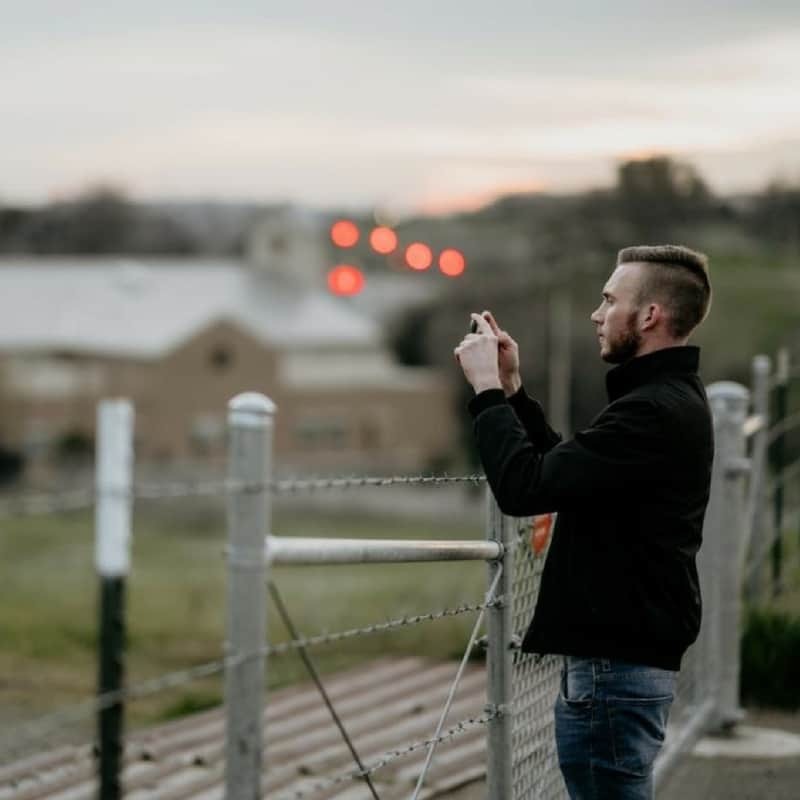 Sending a letter can certainly be an effective first step, but obviously – if you've got alternative ways to contact someone, that's only going to help you in getting the property owner's attention. Send out mail solicitations to the owners of specific properties, hand-picked by you. Track down all the available contact information of a property owner (e.g. – mailing addresses, email addresses and phone numbers). 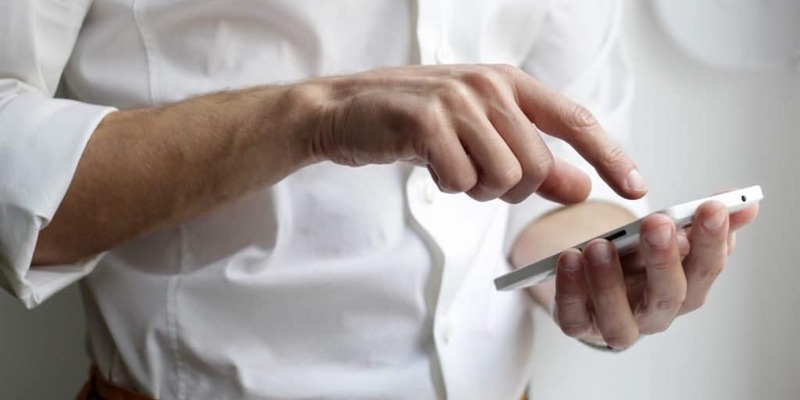 When you compare this app to all the other direct mail services and people-finding websites out there – the biggest differentiator is in how it is designed and intended to be used. 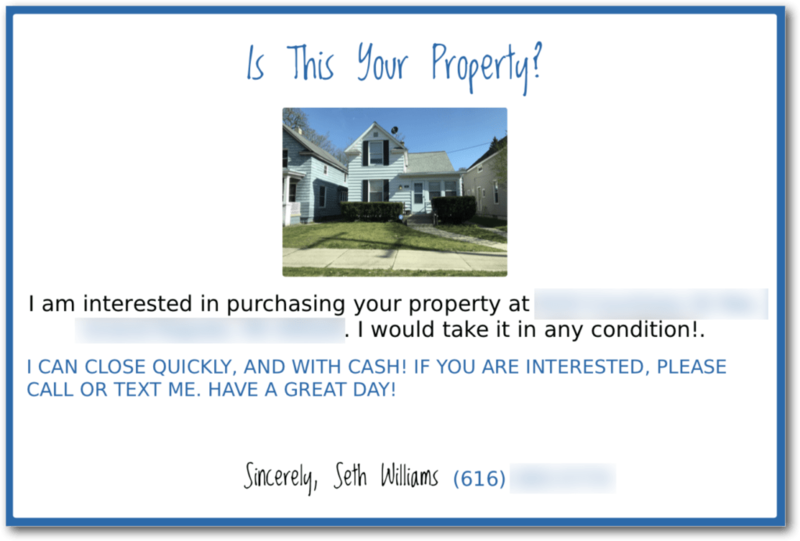 When a real estate professional downloads this app to their phone (or tablet, for that matter), they can drive to the physical location of the property, snap a picture and send out a pre-written postcard to the owner (which includes the photo in a prominent position on the card), asking them to call if they're interested in selling. In the world of direct mail marketing, there are all kinds of different ideas on what type of mail to send out and how to effectively catch the recipient's attention – but I've never seen anything quite like this. With a little creativity, anybody can write a catchy message with a font that looks like handwriting (and probably doesn't fool anybody)… but I think the real power and uniqueness behind this kind of postcard is the picture. Most people can recognize a piece of junk mail pretty easily, but someone sees an actual picture of their house – THAT is a little harder to ignore, and there's a good chance it's going to pique their interest more than the all the other “noise” in their mailbox. I was interested in seeing how the DealMachine app worked first-hand (and I knew some of you would be too), so I decided to give it a try and document my experience. Take a look! Want to give DealMachine a try? Be sure to use our affiliate link and help support the REtipster Blog! 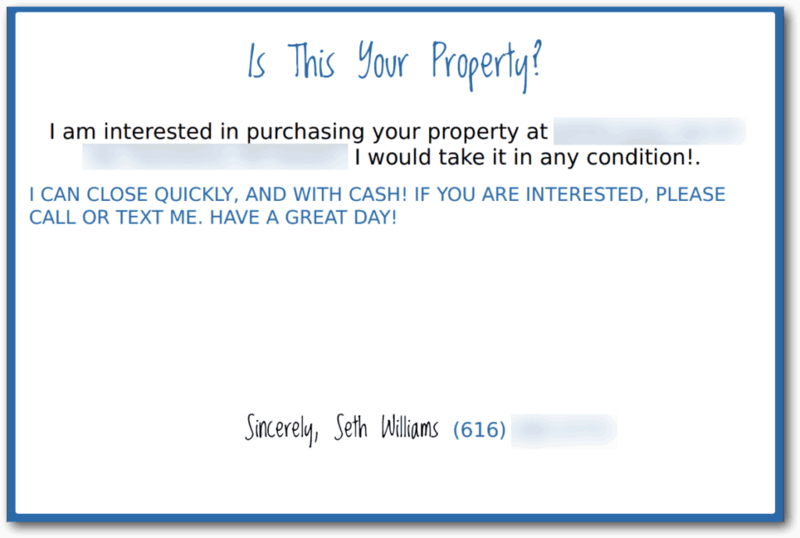 This app makes it truly effortless to send a targeted mail piece to a property owner… it's so easy, a 1st grader could do it. If you're trying to locate a person's whereabouts, it pulls this information from multiple data sources to provide you with several different points of contact (alternative mailing addresses, email addresses, phone numbers). I actually tried using this app on a few of the houses I owned (so I could verify the accuracy of the contact info it provided). I can't say every mailing address, email address and phone number was completely accurate (some of the contact info was truly mysterious) BUT, in every case – even though some of the data led me to a dead end, at least one of the correct phone numbers, email addresses or mailing addresses were correct… so theoretically, if I ALWAYS utilized EVERY contact it gave me, I would have eventually reached the owner one way or another (and whether the owner actually responds is another matter entirely… but that's beside the point of this review). In case it's not already obvious, I'll draw your attention to one VERY important part of using the DealMachine app. In order for your mail piece to look right, you need to be on-site to snap a picture of the property OR you need to find a picture of the property somewhere else (e.g. – Google Street View or the municipal records) and upload it via your phone. 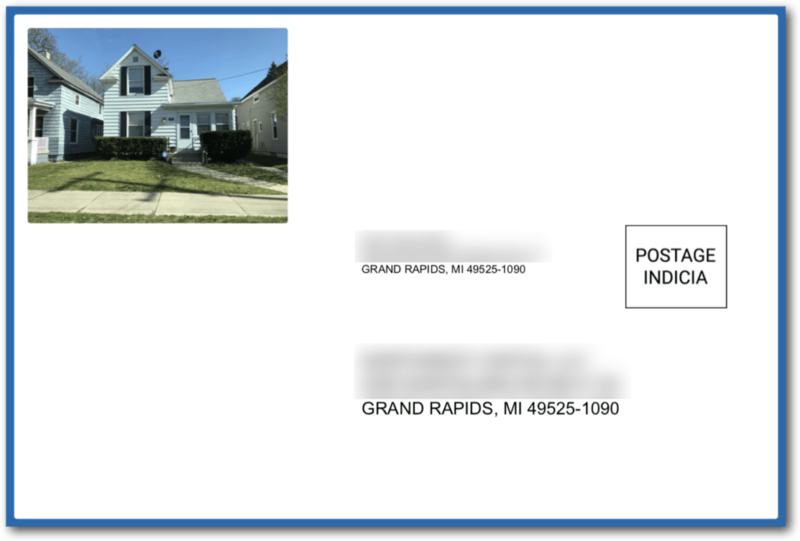 The picture you include on each postcard is a MAJOR component of what makes this kind of mail piece work, because it provides proof that the sender was actually there, at the property, and they aren't messing around. 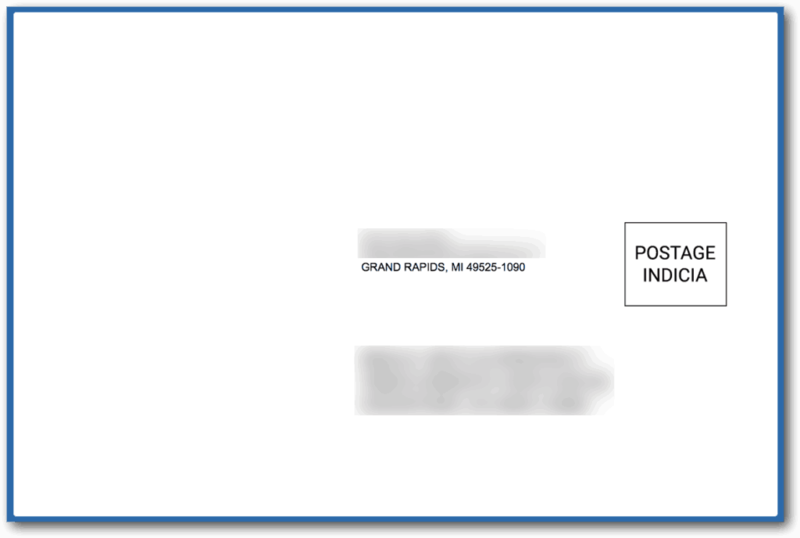 If no picture is included, the mailer can still work, but it won't look quite right, and won't be nearly as effective (because the DealMachine postcard template provides the right amount of space for an image to be included). RELATED: Pretty Instant Review: A Professional Photos Really Worth the Money? See what I mean? Without an image to make it stand out, it's pretty boring and forgettable. It's extremely easy to find the information and send the mail. No, seriously – it's REALLY easy. For what it's designed to do, the app works really well (as is evidenced by its 4.5 star rating on iTunes). The GPS functionality is naturally intuitive and easy to work with. It's very easy to get the picture integrated into your mail piece, and it's easier to preview the mail before it gets sent. When I had questions for the app developers, the customer support on their website was very responsive and helpful. For what it can do, the price isn't bad ($49/mo, + 0.99 per postcard and 0.99 per skip trace). Especially if you plan to use it regularly to find deals, you could easily spend more on services that aren't optimized nearly as well for real estate professionals. I would be nice to have the ability to set up a sequence of mailers. Rather than sending out the exact same message with each contact, sending out 3 – 5 alternative messages would probably produce better results over time (i.e. – if the copy from postcard 1 doesn't elicit a response, perhaps the copy on postcard 2 or 3 will). As a land investor, I wish there was an easier way to add new properties even when a property doesn't have a registered address (because most vacant lots don't have a street address to go by). I'd love to see the ability to identify properties by parcel number, coordinates, or even by the name of the property owner. That being said – I understand this is a lot to ask, because this app wasn't created specifically with land investors in mind. In my conversations with David Lecko (CEO of the company) – he told me they'd like to add more sophisticated mail sequences, but people have been getting a deal for every 200 properties they add (and send mail to about 3 times), which they've been pretty happy with. They're getting a lot of other feature requests, but mail sequences are on their development timeline. All in all, I think it's a reasonably useful piece of software that applies to some (but not all) types of real estate investors. If they continue to build out the features and functionality it has to offer, it has even more potential to serve a greater number of people in the months and years ahead. Have you used the DealMachine app yet? What did you think of it? Hi Seth , I usually like your informative articles , though I like the concept , I dont see a great value add. Its very very easy to find the owner/mailing address of a property . I dont know the source used for skiptracing as most of these companies say “various datasources”. They might just be going to county site or googling. So I would prefer to get the extra information like phone number and all from a reputed website like TLO /Lexis nexis. TLO charges i think around 1$ per search . Even if one doesnt have access to this there are various other well known skiptracing sites . With 50 bucks most of this could be automated on upwork . and the script is yours to keep for ever . Thanks for your thoughts Tarun! I hear what you’re saying. There’s always a cheaper way of doing something. 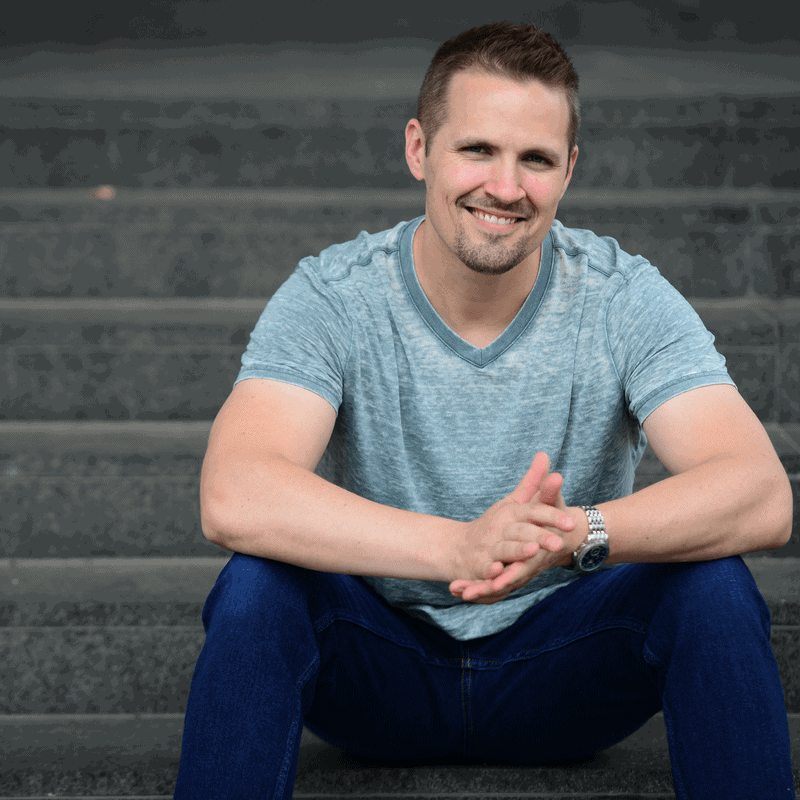 I think the value with this app comes in streamlining the process and eliminating extra steps (IF you’re driving for dollars and looking for properties in the area where you already are). From what I can see, this type of app seems to make the most sense for people who are doing a lot of volume (dozens of these searches/mailers per week, or hundreds per month) and are specifically looking for properties in the area where they already are. You can definitely accomplish the same basic task without the app, but you’ll have to rely on several different tools/websites/resources to navigate through the whole process (as opposed to doing everything under one umbrella). If that kind of convenience isn’t worth $49/mo to you, then it’s probably not the right fit. Hi Seth, Enjoyed your blog post about this latest app. I was trying to find pricing information for using this app and I guess I’m not looking in the right places. From what little I could gather from some other comments, it appears to be a pricey deal. Can you provide any details? Thanks. p.s. Appreciate you and the topics covered in your blog. Hi Carmin – as far as I know, the cost is $49/mo, plus .99 cents to send a postcard, and .99 cents to look up the owner’s phone number and email address. Hi Seth. Thanks for extra details on costs. Pretty good deal for the convenience. Perfect for running my biz from my mobile phone even more than what I do currently. Glad to hear it! Let me know if it ends up working out for you. Thought you would like to know, the promo code” REITIPSTER” is not working on the deal machine app site, I found the app via your post so I was hoping to give you some credit. Do you have another code that would work? Hi Colt – the promo code is actually “RETIPSTER” not “REITIPSTER” (there’s no “I” after the “RE”). Give it another try and let me know if it still doesn’t work. Can your deal machine work on tablets? I haven’t tried that – but given that it works on mobile devices like phones, I would have to image it can. The only issue would be to make sure you have some kind of data connection (4G or wifi) while you’re on the road because that’s how it tracks your location and generates the information needed to start sending out postcards.